Scott Crawford has left The Umstead Hotel and Spa and Herons restaurant to open up two new ventures in downtown Raleigh, Standard Foods and Nash Tavern. 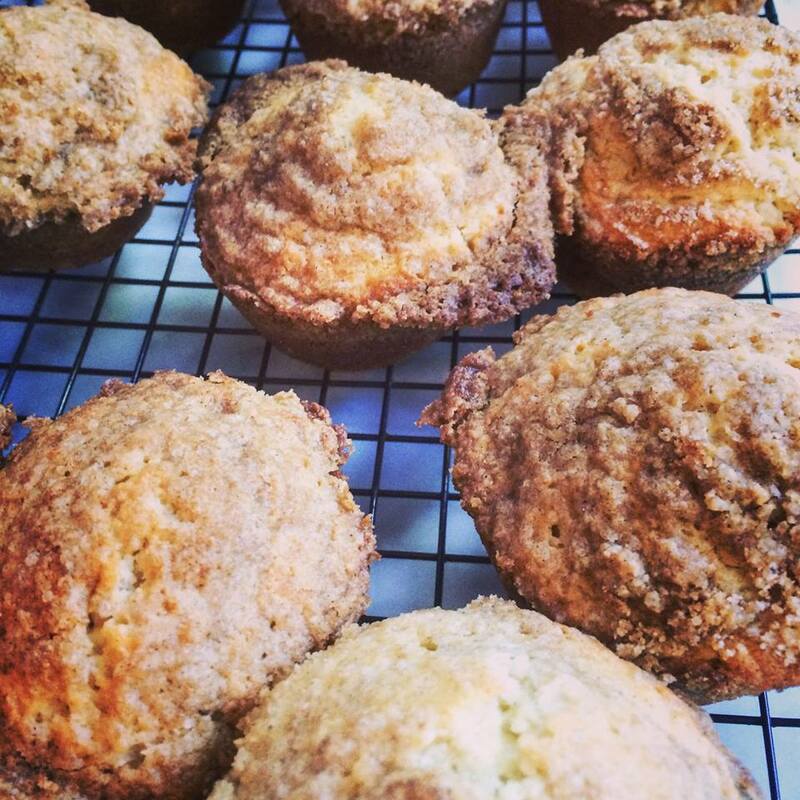 Pastry chef Daniel Benjamin is opening a new pastry shop, lucettegrace, also in downtown Raleigh. All of these gentlemen are good friends of mine, and I’ve written pretty extensively about Scott and Steven, with a couple of mentions about Daniel. Here’s my story on my first meeting with Scott Crawford. This is my recollection of the first time I ate Scott’s food at Herons. I first met Steven Greene when I spent two nights cooking at Herons. He was the Executive Chef de Cuisine, working under Scott Crawford. I also spent some time with Daniel Benjamin while I was there. And I wrote a three-part story on my wonderful experience. Part 1. Part 2. Part 3. And I recently wrote a feature profile on Steven Greene for Walter Magazine. Good luck to Scott, Steven and Daniel! I was asked to write this piece at the last minute because a planned story had fallen through. The idea pitched to me was to write about restaurants worth a drive from Raleigh. I thought that focusing on places east of Raleigh would make the legwork more doable, as I visited these places over a single weekend (except for On The Square, where I went to lunch on a Wednesday). 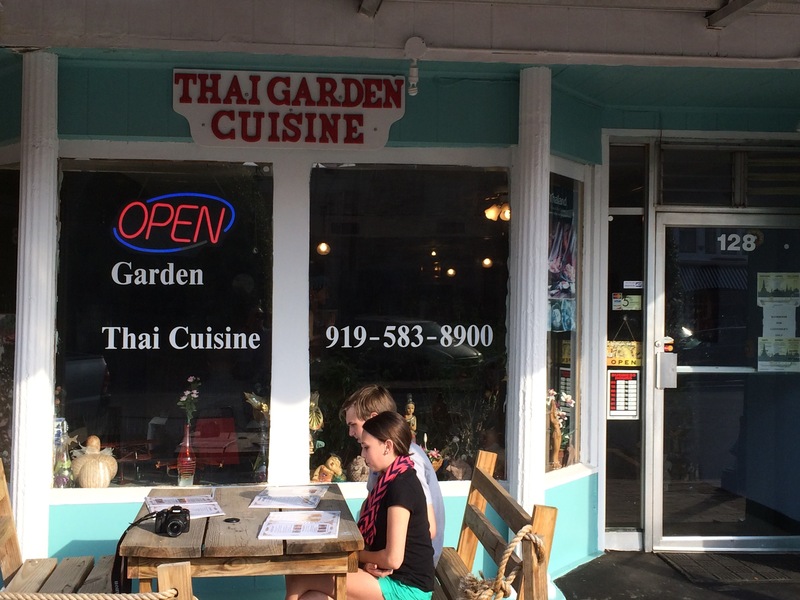 But the Thai restaurant in downtown Goldsboro was undoubtedly the biggest surprise. My kids and I also took all of the photos, many with my iPhone. It was pretty damn cool. I wrote a profile on the founders of Raleigh’s Stanbury restaurant for Walter Magazine’s February 2014 edition. I love to write about people who are successful beyond their imaginations. This is a column I wrote for the December edition of Walter. It’s about my in-laws and their fig obsession. And their giving nature. This column was posted in October for Walter Magazine, but it’s not available online. I’ve been married for 21 years, but another woman has been preoccupying my mind of late. I don’t really know her, but I can’t stop thinking of her. I want to know to know more about her, to understand why she does what she does. But I’m afraid to talk to her. And this is not what you think. I do the weekly grocery shopping for my family every Sunday. I usually try to do it around 10 a.m., when the store is empty because most people are at church. Sometimes I don’t get around to this task until 2 in the afternoon, when things are busier. But nearly every time I visit my local Harris Teeter, she is there: the woman who haunts me. I am guessing she is in her ’60s, and she is a reasonably attractive woman. The fact that she shops at the same time as I do is not all that unusual. The fact that I noticed her isn’t, either. What is unusual is that I’ve never seen her buy a thing in the store. I’ve never seen her stop to look at an item on the shelves. In fact, I’ve never seen her put a single item in her grocery cart; the cart might have one item in it, two at the most. But she walks. And walks some more, always with a gentle saunter, and always with a pleasant smile on her face. She’s not there to buy groceries. She’s there for some other reason. Maybe this is her social outlet. Maybe it’s her exercise. I don’t know. But I want to. Is she a lonely woman? I’ve never seen her stop and talk to a single person in the store, but I wonder if the employees have noticed her like I do. My younger kids have noticed her, too, and they feel sad for her. We initially called her “Miss Lonelyhearts,” after the character in Hitchcock’s “Rear Window,” but we renamed her Miss Lonelycarts. I really don’t know if she is lonely at all, but I wonder about her nonetheless. But that’s what makes Raleigh great. We care about each other, even if we don’t have a clue who someone is. I fist bump my favorite bagger at the store, talking about how many days before the NFL season begins. I ask my Whole Foods butcher if he’s seen any good bands lately – we once bumped into each other at a club. And I always make the same joke to the Harris Teeter cashier when the credit card machine asks me if my total amount due is OK. No, it’s not OK; it’s $289! How could that ever be OK? My kids grimace at the joke, but the cashiers laugh. But it is this woman, this Miss Lonelycarts, of whom I think the most. She’s the one I want to approach and say hello. I am afraid to do that, however, not because I’m wary of engaging a total stranger, but because I don’t want to scare her off. If she actually stopped and looked at some produce, I could say, “Boy, the strawberries look great today.” And the next week I see her, I’d say, “Hey there, Strawberry Woman.” But I’ve never had that chance. I’ve also thought about “accidentally” running into her cart, then apologizing profusely. That would certainly break the ice and give me a reason, next time we see each other, to say hello and feign embarrassment. And now, as we approach Thanksgiving, I want to make sure that she has a place to go for my favorite holiday of the year, a place where she can relax, have a good meal, and be around some people who are thankful for what we have. I’m used to taking in the Thanksgiving “orphans,” people I hardly know who have no family nearby. But I just can’t bring myself to do it. Just like when I was in high school and was horribly intimidated by the pretty girls, I find myself thinking not of the possible good of engaging Miss Lonelycarts, I only consider the bad, that I would scare her away. Or maybe she might be a bit, er, crazy. In the end, she doesn’t need me to be her white knight, her social savior. She’s happy with her Sunday stroll, looking at the friendly faces at the Harris Teeter. She’s shopping for something, but I might never know what that is.